Ask anyone if they have a social media account. You’d be surprised at the small number of people who say they don’t. Social media has been ingrained in the everyday lives of people and the amount of usage it gets seems to show no signs of decline. 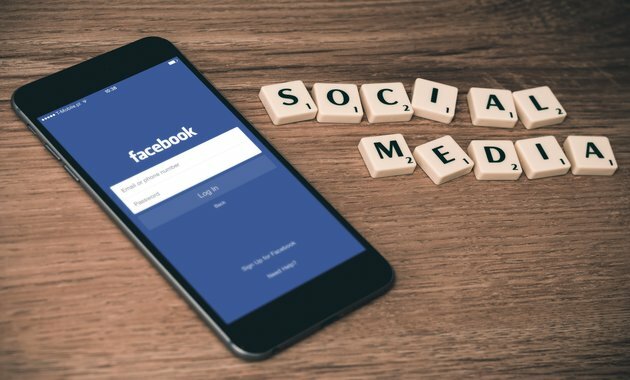 As people take to social platforms to learn about the latest news, businesses are relentless in adjusting their strategies to accommodate the changing behavior of social media users. How much has the social media landscape changed? What do these changes mean for businesses? Which social media platforms are popular today? Facebook has 2.27 billion monthly active users, making it the most popular social media platform. Following Facebook, YouTube takes a big share of the social landscape with 1.9 billion monthly active users. Instagram has reached 1 billion monthly active users, but this number is expected to grow continuously. Twitter falls below the rank with only 326 million monthly active users. Pro-tip: Consider platforms that fit your business needs and match the personality of your brand. Facebook’s gender demographics in terms of actively using the platform is somewhat evenly distributed – 83 percent for women and 75 percent for men. 38 percent of women are likely to use Instagram compared to 26 percent of men who are inclined to use this platform. Majority of users on Twitter are between the ages of 18 and 29. The most active age group on LinkedIn is composed of users from 25 to 44 years old. Pro-tip: Use social media platforms that fit the type of audience you’re targeting for your business. 46 percent of users are likely to engage in a post that offers promotions. Tweets that have images get 18 percent more clicks. LinkedIn posts that have a link get a 200 percent higher engagement rate. 42 percent of users engage with brands that provide educational content. Instagram videos receive 21.2 percent more interactions than images. Pro-tip: Develop a content marketing plan detailing the type of post you’ll distribute on social media platforms. Make sure these posts cater to the interest and intent of your target audience. Do you want them to know about your brand? Are you planning to get them to buy a specific product/service from you? 37 percent of users watch YouTube videos on their mobile devices. 80 percent of Twitter users are using mobile devices to access the platform. More than half of LinkedIn access comes from mobile. Pro-tip: Put yourself in the shoes of your audience – how will they view your content when they’re on mobile? Provide snack-able, mobile-friendly content such as short videos and images to increase engagement on mobile devices. Are you planning to spend on ads? Social media ad revenue is estimated to be at $17.24 per user, and this amount is expected to grow up to 10.5 percent annually. 57 percent of millennials think ads are becoming more relevant. In 2017, Instagram has accumulated around 2 million active advertisers. The average Facebook user clicks on 10 ads every month. Or be prepared to lose followers to the competition. By loading up social media in your digital marketing arsenal, you have the leverage to reach and engage with more followers. More importantly, this provides you with tons of opportunities to build real relationships with social media users and nurture to be your next customers. About the Author: Bernard San Juan III is the General Manager of Truelogic Online Solutions, a premier digital marketing company in the Philippines. He is also a regular lecturer for the Certified Digital Marketing Professional program of the Digital Marketing Institute. Moving Walls has launched its Moving Minds Challenge 2014, providing participating creative agencies the opportunity to showcase t..